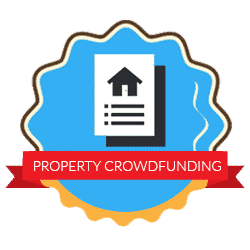 What is Property Crowdfunding and is it a Good Investment? This is the first in our series on property crowdfunding with Ben Grove from Property Moose where Amy and Ben discuss how crowdfunding is democratising the property investment industry by offering a lower cost to entry and utilising technology to simply what it takes to manage a property portfolio. Amy: Hi, it’s Amy from Property Investments UK and today I’m so excited to be joined by Ben Grove from Property Moose. Hi there. Ben: Hi. How are you doing, alright? Amy: I’m so excited to have you here. Amy: I know that what are you doing in your industry at the moment is so exciting, really buoyant, lots going on and there’s so much for us to discuss about crowdfunding and everything that you are doing with Property Moose. Ben: Great. Let’s go, let’s do this. Ben: Okay, so, it’s probably easier if I start with what you would do if you were going to invest in a property, normally. Or one of the ways that you can. So, you go to an auction. You’ve got an amount of money that you want to spend and you go and buy a house. But people have got to get, probably, on average, £50k, £60k, £100k together, to get their first foot on the ladder and actually buy a property, outright. So, what property crowdfunding does, it democratises the way in which people have access to investing in property. So, you can invest, from as little as £10, in a property that we’ve already pre-screened. We’ve done the calculations, we’ve put a forecast together. We can’t guarantee anything because that’s not how investment works, sadly. But it allows you to actually start investing in something, without that big-ticket number, getting you into, probably, financial difficulties and all the rest of it. So, it’s not risk-free but it’s certainly a less risky way of getting your foot into the property investment market. But we’ve got investors that literally go everywhere from £10 to the most… The highest one we had was £530,000, something like that. So, you get all sorts of people from all walks of life and it’s just nice to sort of speak to people that, they know what they’re doing, they’ve done their due diligence. We encourage them to go out and not just take our word for it but go and do what they have got to do. But it’s really nice when you’ve been speaking to someone over the phone or speaking via e-mail and then the next day they then invest an amount of money and you are like, ‘Oh wow. They’ve never met us and they’ve never seen it but they’ve done what they need to do. They’ve got comfortable with us and now they’re working with us’. And there is no better feeling than actually doing what we said we were going to do and returning the money when we said we were going to return it for the return we said we’re going to give them. Amy: It seems like you are giving them a very clean, simple way of investing money and, as I say, I’m very attracted by… And I’m sure lots of people watching will be attracted by… We can invest, from £10? This is opening property investment up to a whole new marketplace, now. Ben: That’s what we say. We try to open up the market to everybody, as long as they know what they are doing. So, for example, the technology that we’ve got… You just couldn’t do this, without the tech. So, we consider ourselves to be… We’re very much property technology but we also consider ourselves to be ‘fintech’, as well, which is a big buzzword at the moment. Because, if you think about how you would get 300 investors, in one property, to vote if the boiler breaks down, for example. You are not going to ring those 300 people and be like, ‘Hi. We’re going to get this much money to do this and we’ve got these three quotes and we can get this contractor out and blah, blah’. So, with our system, it’s all held within their account profile. So, when you sign up, you get a free account. All of your investments are mapped out. You can see what your returns are. You can see any new deals. You get updates on the market. But, you know, it’s a really streamlined way of having a property portfolio in the palm of your hand, essentially, if you have got the Internet on your phone, obviously. 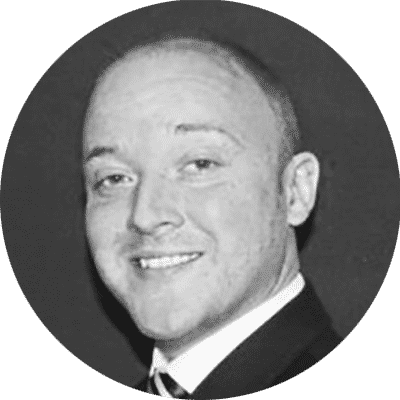 So, it’s really… It’s really something that, I believe, personally, is going to change the way that people invest in property, now and in the future. Amy: I really agree with that and I think this is just the beginning of property crowdfunding. We’re just starting to see it bubble up now but what will we see in 10 years? Ben: I just joined the Property Moose crowdfunding platform recently but they were one of the first true property crowdfunding platforms in Europe and in a very short space of time, four years, they’ve got 27,500 investors in 130 countries, all managed within one website, which is pretty impressive. Ben: I just think about what you would do if you didn’t have that sort of communication mechanism within the site. So, it really is the technology that helps us do the job we do but we haven’t removed the human element from the process, as well. Which I think is really important because you don’t just want to just rely on a computer, basically. What Are the Main Benefits to Property Crowdfunding? Ben: Okay, so, price-to-entry, is, obviously, one of them. It removes the financial barrier to investing. I’m certainly not saying that £10 is a small amount of money because it’s not, to some people and anybody who invests is at risk. So, that’s one aspect of it. Ben: The choice, as well. So, you have different styles of investment, having everything in one place. The technology. So, actually, the convenience of having everything, potentially, in the palm of your hand. Being consistently updated. Having the ability to be notified of any alerts or, ultimately, information that you need to know, as a shareholder and having it all in one place. So, it’s kind of like having an investment team in your pocket, I suppose. And also having the ability to invest in a choice of products and actually spreading your risk across multiple products, with one company. So, you’re not actually having to think, ‘Oh well, I’ve got one investment here, I’ve got another one here and here. I’ve got to speak to that person, that person and that person’. It’s all housed within one piece of technology. And we do find that a lot of people that invest with us, they stay with us, which is great because the better we get at what we are doing, hopefully, the better the returns are for the investors. Amy: Ben, can you tell us how the returns work? So, if an investor is going to put some money in, when does their money come back to them? Ben: Sure thing. So, if you… We’ll talk about the secure, loan notes, again. There is one on the site at the moment. So, the forecasted time is 12-months. So, if we do what we say we are going to do, you’ll get your money back in 12-months time. So, what happens is, when the asset is realised, it is exited, you are then paid out, as per… Well, proportionate to the amount of money that you have invested, your apportion of the profit. So, you have an e-wallet, on our site, which you can hold your funds, within and you distribute the funds from your e-wallet into the investment. Then you are issued your shares and you are updated, as a shareholder, as time goes on. As soon as we exit you get a notification, the money and the profit is then credited into your account. You then have the option to either withdraw that money or, what a lot of people do because of compound interest and things like that, they will then reinvest, to get the most out of the money that they are spending. So, it’s really a one-stop-shop. You don’t have to go anywhere else. You’ve got everything, in one system, doing exactly what you need it to do and you can then go and do what we need to do with the money.